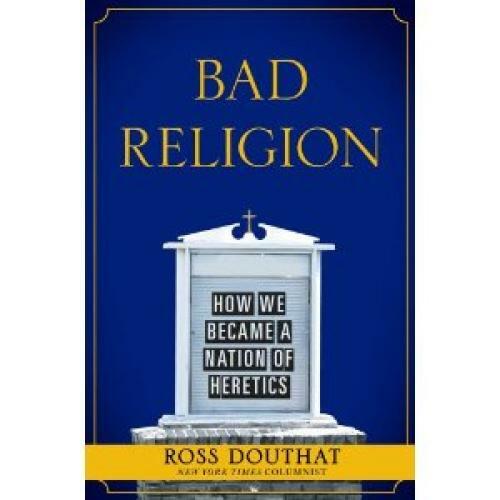 In his review of my book, Bad Religion, Michael Sean Winters suggests that I have “drunk the Kool-Aid being distributed by the papal biographer George Weigel, the American Enterprise Institute’s Michael Novak, and other neoconservative interpreters of Catholicism.” He is right to discern some areas of agreement between myself and those writers, but his review grossly misrepresents my interpretation of their work, at times literally reversing the points I actually make in order to fit his own preconceptions about what my book is arguing. In particular, he accuses me of being a largely uncritical admirer of “the accomodation to laissez-faire capitalism that American Catholic conservatives have been championing,” characterizes me as “heaping praise” on Michael Novak’s work on the subject, and suggests that I hail Novak’s arguments as a “breakthrough” in Catholic theology. In fact, the word “breakthrough” appears in a quote from Novak himself, and I repeat it as part of a summary of Novak’s self-understanding, rather than as an uncritical endorsement. And it would be odd indeed if I did endorse it uncritically, given that the chapter in question goes on to issue a sharp warning of the ways in which Novak’s accommodation with the spirit of capitalism can lead Christians astray—a critique that culminates in an extended quotation from an embarrassing encomium that Novak penned to Kenneth Lay. Indeed, I would have thought it obvious to even the least diligent reviewer that one of the major reasons I included Novak’s views in that chapter was to cite his frequent overenthusiasm for capitalism as an example of the way that prosperity theology has influenced more mainstream Christian thought for the worse—by encouraging “a naïveté about how riches are often accumulated and about the dark pull that money can exert over the human heart,” as I put it in one of the many, many critical passages that follow my quotations from Novak’s work. My critique of Novak is a measured one, I hope, and my views on political economy and the role of the welfare state are clearly somewhat closer to the Catholic neoconservatives than to Winters’s own. But in that chapter and throughout Bad Religion, I am at great pains to emphasize my respect for the Catholic Church’s traditional skepticism about capitalist culture, and my regret that this skepticism finds a weaker purchase than it should on many conservative Catholic hearts. (It’s true, as Winters notes, that I do not quote from Caritatis in Veritate, the pope’s most recent encyclical on this subject. But that’s because I have a quotation in which Pope Benedict remarks that “democratic socialism was and is close to Catholic social doctrine,” which seemed to me to cover his point even more explicitly. Likewise, when I write that John Paul II had “come to the same view of Christianity’s situation as had Novak and other American Catholic neoconservatives,” I was referring to questions about the interpretation of the Second Vatican Council, not to questions of political economy.) And this emphasis is not an aside or a caveat or a minor note. Its recurs on page after page and in paragraph after paragraph, and it’s crucial to my critique of how American Christianity as a whole has adapted to our country’s unprecedented wealth. I am baffled as to how Winters justified misrepresenting and ignoring it. I am equally baffled by Winters’s suggestion that I am rewriting history from “the corner office view at AEI.” In reality, Bad Religion specifically and repeatedly criticizes the Bush administration’s foreign policy, bemoans the uncritical support that conservative Catholics lent to the war in Iraq, and criticizes religious conservatives (Protestant and Catholic alike) for lending Christian support to waterboarding. Again, none of these points are minor or inconsequential or easily missed. Nor is my broader critique of conservatism’s post-1970s trajectory, which encompasses everything from the heretical tendencies of Ronald Reagan to the apocalyptic enthusiasms of Glenn Beck. But apparently all of this, too, taxed Winters’s reading comprehension. But such unfairnesses are typical of hostile book reviews, and I don’t begrudge Winters the right to be obnoxious to someone he considers—wrongly, in my view, but obviously not in his—to be his political and theological antagonist on every front. The license afforded by the genre of polemic, however, does not grant him the right to be explicitly mendacious. He clearly has a vendetta, of sorts, against Michael Novak and George Weigel and the style of Catholic neoconservatism that they represent. But they are not me, their writings are not mine, and he has done his readers a disservice by reviewing Bad Religion through the lens of that vendetta, and ignoring the book I actually wrote. Michael Sean Winters’s response can be read here.